Never heard of litigation finance? You’re not alone. A type of alternative investment, it’s one of the types of investment products offered by YieldStreet, an online alternative investment platform. 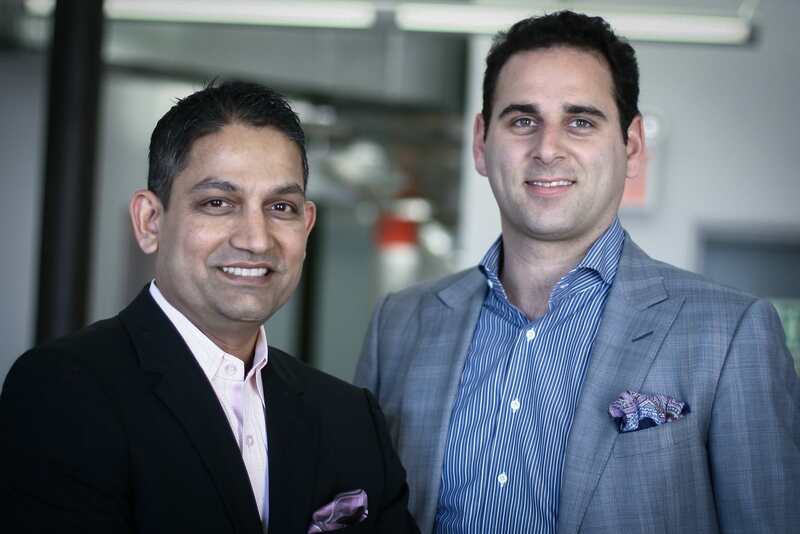 We spoke with Milind Mehere and Michael Weisz, YieldStreet’s co-founders, about their investment philosophy and how asset-based lending and other alternative investments work. This interview has been condensed for clarity. If you work at or own a fintech startup and are interested in contributing, tweet us at @ValuePenguin. Why and how did you start YieldStreet? Milind: As an investor myself, I was constantly frustrated by the lack of available options to generate yield. Beyond traditional stocks and bonds, I was unable to gain access to alternatives as I couldn’t contribute the often very high minimums to participate. I was then introduced to Michael, who as a money manager, was continually turning away interested smaller investors as he didn’t have the time or resources to manage a high investor volume. Together we took a look at the market and realized that of the over 14 million accredited investors, over 80% of them weren’t invested in alternatives. This is because the traditional high buy ins and long investment durations—which I also experienced—prevented the majority of retail investors from accessing these opportunities. With the creation of YieldStreet, we saw a tremendous opportunity to make these investments accessible. We wanted to build an online platform where we could make the entire process of finding and making investments in alternatives automated. Once fully automated, it doesn’t matter if an investor has $10,000 or $10 million, the terms are the same and it’s the same process. Milind: We have investors from 32 states right now on the platform. If you look at portfolio size by investor, it’s amazing, we’re seeing incredible diversification of investors with larger $1M+ portfolio’s as well as retail investors investing $5-25K – all accessing the exact same opportunities on the platform. $1 million plus is only 1% of our investor base. If you look at investor base in the $5,000 range, it’s 19%. At $10,00-25,000, it’s 41%. And then $30,000-80,000 is another 19%. It’s so well diversified. As we try to marry tech and marketing to this very traditional hedge fund industry, and open it up for the masses, we are seeing that reflected in our investor base. And we’ve grown over 1300% already this year. I think it’s very exciting. How do you select investments for YieldStreet? Michael: We have less than a 9% approval rate and have rejected over $466 million in opportunities to date. We place great importance on due diligence, and live and die by what we call our five-point investment philosophy. First one is asset-based lending. There has to be collateral on every deal that exceeds the value of the investment that we’re making. This is something I was taught my very first time trying to raise money on an asset-based lending deal. The investor said to me, after telling him how great the investment was and how much money we’d make, “Michael, you have it all wrong. Worry about what happens when the glass breaks, then figure out how to make money.” We view our number one priority as making sure that we have principal protection via collateral, and secondarily, once we’re comfortable with the downside protection, how we can make money. Number two is low correlation to the broader market. We want to make sure that the investments that we are investing in do not fluctuate based on larger macro events that are going on in the economy. For example, in the case of the lawsuits, it doesn’t matter if the economy is doing great or not doing great, the lawsuit is going to continue. The third, and arguably most important rule, is having a proven asset manager originating the deal. We strongly believe in working with managers who have been through ups and downs. A lot of investors may get into a deal with friends or family, and they don’t necessarily work out. If you go to the top hedge funds in the world and ask for $100 million, you’re not going to get it as their friend or cousin. You’re going to get it if it’s warranted by your credit criteria. The fourth is we don’t want to invest in opportunities that would mature in longer than three years. We think that after 36 months it gets more difficult for us to underwrite what scenarios may or may not happen during that time. Number five is our yield profile. If all four rules are met, then we say, “Does this investment hit our target yield of 8-20%?”. We are also building a rules based origination engine that will use data and technology to come up with a YieldStreet Rating or score, sort of a predictive model on investment quality. How are the investments backed by assets or collateralized? Michael: Depending on the strategy and asset class, you have different collateral. I’ll give you three quick examples. First example, in real estate, the underlying property is a two-year loan. We had a mortgage on a property in Brooklyn on Nostrand Avenue, so that’s easy to understand. We also make loans to professional athletes backed by the guaranteed portion of their contract. The actual collateral is the contract between the team and the player. The teams have a guarantee, or a requirement under all circumstances, to pay a certain dollar amount to the player. If you have a $5 million contract, maybe $2 million is guaranteed. The only risk to that guarantee is death, disgrace or disability, or if the player is called a walk-off. If the player dies or gets in trouble, the investors will be repaid immediately through an insurance policy. A third example, we did a deal where we financed a business that leases cars to drivers of ride-sharing companies to help them get in business. The company actually owns the car until the end of the lease term when the title is transferred to the driver. During the time the company owns the car and our loan is outstanding, we have the title to every car. The actual collateral is the car. We made sure to study the actual liquidation value and auction value and any fees, and we make sure that we’re lending less than that. In the beginning of the deal, we’d have a higher loan-to-value, but after 12 weeks we’d have 60% loan-to-value, which means 40% equity. Editor’s note: Loan-to-value (LTV) is the ratio of a loan to the value of the asset purchased. For example, let’s say you want to purchase a $100,000 house. You put $20,000 of your own money down on the house and borrow $80,000 to cover the rest. The loan-to-value ratio would be 80% ($80,000 ÷ $100,000). Lenders use loan-to-value to assess risk before approving a loan. In general, a loan with a higher LTV (typically 80% or more) is considered riskier to the lender than a loan with a lower LTV. And what about the litigation finance investments? Michael: In litigation finance, you have a large portfolio of individual cases. One deal that we have live now is 256 different pieces in that portfolio. We have a lien on the proceeds of all those cases. Some people think you’re betting on a lawsuit, but it’s not like that at all. The business that we work with on that particular strategy has been around for 16 years, has funded just under 100,000 cases with 38,000 lawyers in 45 states. In its 16-year history, it’s held a loss rate below 5% year after year. How are they sustaining that 95% success rate? Michael: The first thing to remember is all the cases are cases of physical injury. It’s not like some of the other platforms where they’re doing social justice cases, patent cases or contract cases. These are all cases of physical injury, which means that in almost all cases there’s an insurance company or municipality as the obligor. If you look at the stats on personal injury cases, in general, 95% of all personal injury cases settle. Of the 5% that don’t settle, it’s 50/50 win or lose. So you have great statistics of being successful. Second, they employ half a dozen, if not more, lawyers on staff who review those cases. Third, they have a steadfast rule that they don’t advance more than 10% of what they think the case is worth. Even if the case isn’t as successful as they had hoped it would be, they still get repaid. Milind: The way we look at it is that, as a tech company, this is really a big data problem… in the sense that this originator we work with has a 16-year track record. The type of data that they have is fascinating. They know how to optimize 7 to 8 different variables and literally millions of data points. Let’s say you have a slip and fall at work. If you are in Florida vs. California, if you’re working with lawyer A vs. lawyer B, what’s your jurisdiction? Who’s the lawyer that is representing you? What is the type of case? Who’s the obligor? What type of insurance coverage? They have this data that they are looking at before making their decision whether to finance a case. The criteria they use is very sophisticated. Then we can do our diligence on available investment opportunities and offer them on the YieldStreet platform. Given alternative investments have low market correlation, during the financial crisis, were there any unexpected consequences within the industry? Michael: Yes, and no. If you were in the real estate business, most people went through some parts of the cycle, where there were greater rates of default on rent and mortgages. However, in New York, property didn’t drop more than 15%. Even in the suburbs, it was 7.5%. You still earned money on your deal if you had the portfolio and you got the property back. You experienced hiccups, but because it’s an asset-based loan with collateral to secure it, you’re ultimately not losing money. In the litigation business, they saw a huge uptick in the origination of business. This is because people that otherwise may have had the resources for the duration of a case, this time didn’t. The only hiccup that some experienced was during 2009 when there were a lot of both federal and state budget cuts. Some judges and clerks were pulled off the bench, pushing cases out an extra few months. You thought that you were going to be repaid at certain date, but you were delayed six to nine months. However, given the obligors are large companies, the selectability of cases was never an issue. The litigation business, in some ways, is countercyclical, in that it may grow when the market has difficult times, but we haven’t seen any negative impact as a result of it going through the cycle.